Plums are known as prunes in France. In earlier times, it is believed that both plum and prune meant the fresh fruit. In modern times, Americans understand the prune to be the dried version of the plum. Most prunes are made from the La Petite d'Agen variety of plum brought from France in 1856 by French horticulturist Louis Pellier in Santa Clara Valley. Almost 99% of the American drop of prunes comes from Pellier's French plum tree which was originally grafted to an American plum tree. The California crop makes up over 70% of the entire world's production of prunes. One pound of prunes takes up to three pounds of fresh plums to make. A single prune tree produces up to 300 pounds of fruit. 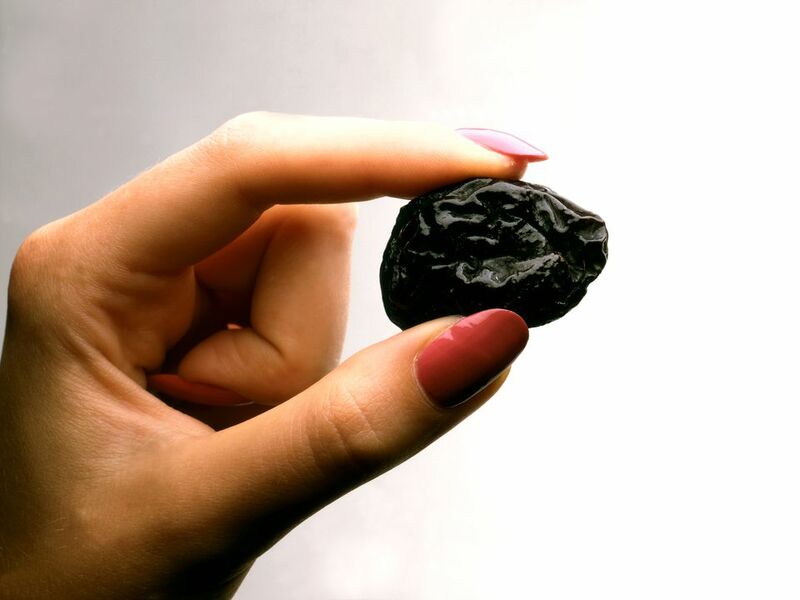 Prunes are famously known to be good for treating constipation, but it has other health benefits as well. Prunes are high in potassium. Just 1/2 cup serving can account to 14% of the daily recommended value of the important mineral responsible for building muscle, breaking down carbs, and regulating fluids in the body. Many Americans don't get enough potassium in their diets, so prunes are a good way to satisfy that need in a very small serving. Prunes are rich in vitamin K which has been shown to support bone health. Research has found an association between higher vitamin K intakes with higher bone density and lower hip fracture incidence. A new movement by the prune industry aims to market prunes as plum raisins or dried plums in hopes the new term will appeal more to younger people. This is because prunes and prune juice has been associated with use by the older population for digestive reasons. Chef, Executive Chef, Sous Chef - What's the Difference? Can Ricotta Cheese be Baked? What Does the Baking Term, "Cutting In" Mean? How Do You Use Up Ripe Bananas? What Is Cross Contamination and How Can It Be Prevented?